I just got back from nearly two weeks in Maui for a family vacation. We traveled with dear friends (Bluebonnet’s family) and had a fantabulous time. We drove through almost every region (except Upcountry), drove nearly the circumference of the island, got sand in places sand shouldn’t go, and snorkeled with sea turtles. And we ate well–there is no shortage of good food, especially at the roadside stands. Any of you who know me know that there are certain things I will not eat. However, this trip changed me. Either that or it’s a sign of the Apocalypse. If you’re a family member, you might want to sit down before you continue reading. Everyone should prepare for the end of the world. 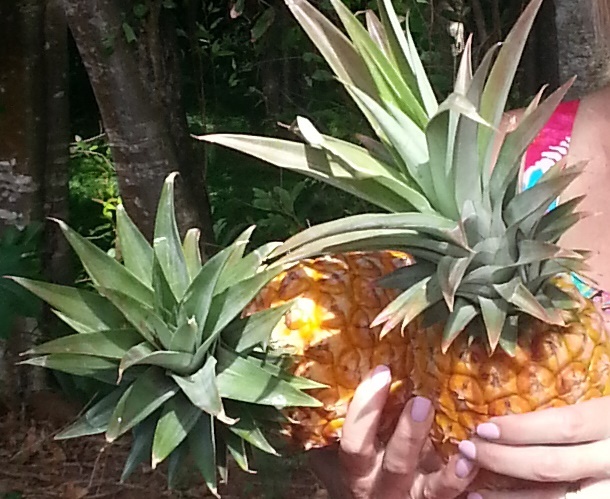 The best fruit I have ever tasted were the pineapples that we bought at a little roadside stand. They were so sweet and fresh that we could even eat the core. Unbelievable. I’ll eat pineapple again, but it’s going to be really hard to find anything as sweet and fresh as those. I do not like coconut. The dried up, flaky stuff just makes me gag. A man at a roadside stand expertly chopped off the end and poked a hole in the top with a machete. 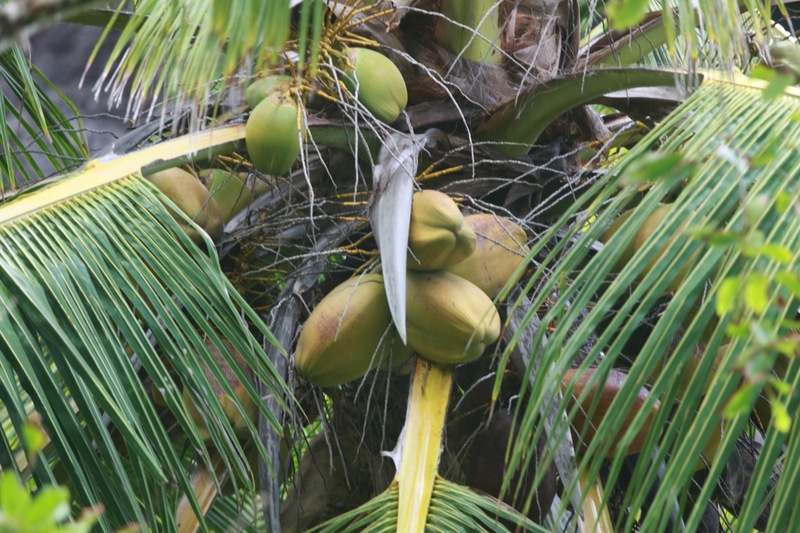 We all took a swig or two from the coconut with varied success of keeping it off our faces. (Some stands provided drinking straws!) It was sweet and delicious. I missed out on having a bite of the meat, but I would have tried it, too. Bananas are disgusting to me. I haven’t eaten a whole banana since I was six. Can’t stand the smell of them. Bleh. But I had to try an apple banana. 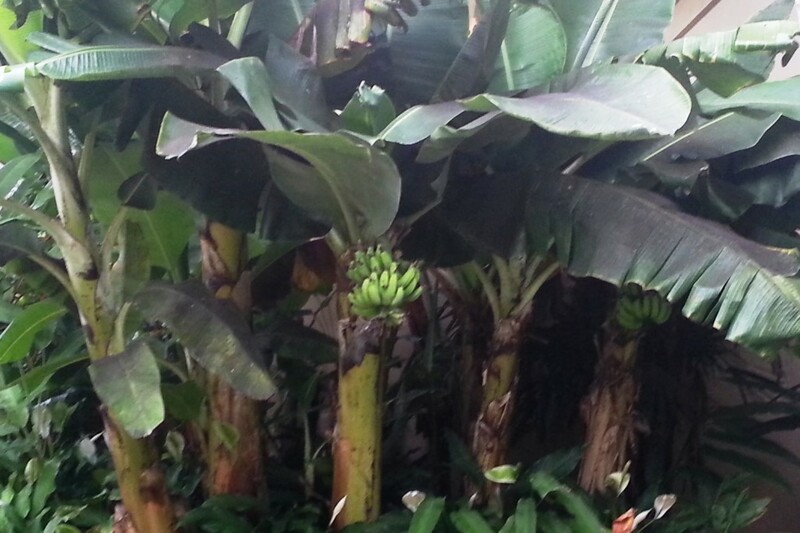 It’s a small, wide banana that is common on Maui. It was tasty. I would’ve eaten more if we’d gotten more. I also tried a chocolate-covered frozen banana. It had dark chocolate on it. Seriously good. Does this mean I’ll start eating bananas? Ah, no. They don’t gross me out so much any more though. Two instruction manuals in one sitting! If my eating pineapple, coconut, and banana isn’t shocking enough, the reading of the user guides has to be evidence that the end of the world is coming! What about you? Have you ever done or eaten something on vacation that you wouldn’t in your normal life? Were you changed by a vacation?